When you trade in a vehicle that still has a loan on it, you’re still responsible for paying off the balance. The decision to pay it or roll the balance into a new loan should be based on factors like how much you owe, what your car is worth, what kind of vehicle you want to buy and the interest rate you qualify for. Consult a reputable resource like Kelley Blue Book or Edmunds to find out the trade-in value of your car. Print the information to take with you when you car shop to give you greater negotiating power. Also consult the lender that holds your car loan and ask for a payout amount if you can't find the amount on your monthly statement. This gives you the stats you need for discussing a trade-in. For example, if you owe $5,000 on your car loan and the dealer offers you a trade-in value of $6,000, that leaves $1,000 going toward your new vehicle purchase after the loan balance is paid in full. Insist on discussing a trade-in figure for your vehicle before you start looking at new cars on the lot. This lets you know where you stand before you fall in love with a vehicle and inadvertently put yourself at a disadvantage when it comes time to negotiate. 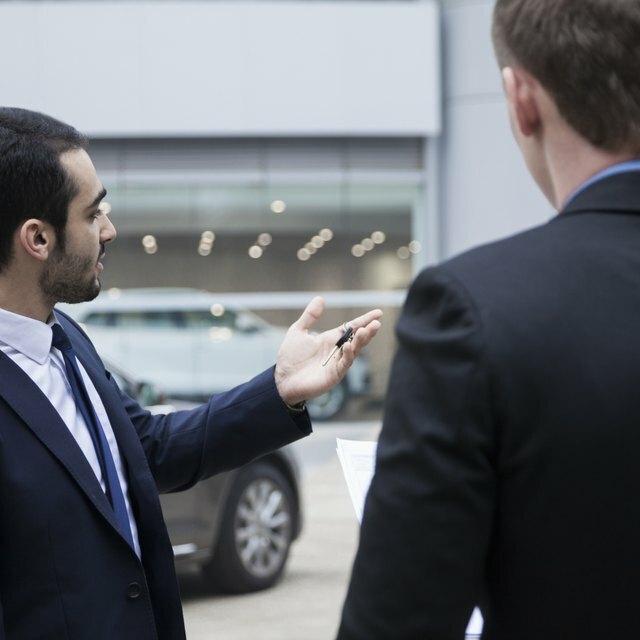 Have solid numbers in hand before you even walk into the showroom, including the bottom line on what you’ll take for your existing vehicle and what you’re willing to pay for a new one. An upside-down loan is one in which you owe more than the car is worth. For example, if you owe $5,000 on your loan, and the dealer offers you a trade-in amount of $4,000, that means you’re upside down -- or owe the lender -- $1,000. Not only will you not have any trade-in value going into your new car purchase, but you’ll have to pay out of pocket an extra grand or incorporate that outstanding balance into a new loan. You may have the option of rolling your outstanding loan balance into a new car loan as part of the trade-in. This can work in your favor if your new loan carries a lower interest rate or better terms than your old one -- shop loan rates beforehand for the best deal. It can also be a positive move if you’re trading in an older vehicle for one that requires less maintenance and is more fuel-efficient, as it will save you money overall. However, when you roll an old loan into a new one, you’re essentially still financing both a new car and a car you no longer own. If you still owe money on your car, you won't have a free-and-clear title to hand over to a private party buyer or car dealership until the loan is fully paid. If the dealership is paying off your note as part of the trade-in, it will typically ask you to sign an agreement specifying that once the old vehicle is paid for, the title will be sent to it -- the deal may not be final until that happens. If you sell to a private party, you'll have to pay off the loan first or reach an agreement with the buyer under which they pay the outstanding balance as part of your arrangement. AOL Autos: Is Your Car Financing Upside Down?